TMZ | Aretha Franklin, known for having one of the greatest voices in music history, and for hits like "Respect," and "(You Make Me Feel Like) A Natural Woman" ... died Thursday after a long battle with cancer. Aretha passed away in her Detroit home where she was under hospice care. She'd been in failing health for many months and she was down to 86 pounds. One source told us he was informed more than a week ago that Aretha could go at any time. She had appeared incredibly frail in recent years, and rarely performed live. Her most recent appearance was last November for Elton John's AMFAR event. Aretha's career is just incredible. 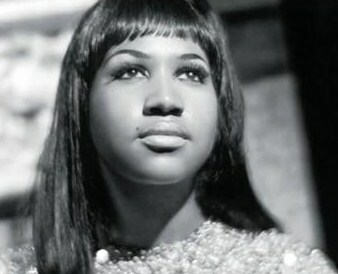 Born in Memphis in 1942, her family eventually relocated to Detroit where she began singing in her father's church. She was such a powerhouse gospel singer, she landed a Columbia record deal in the early '60s. Aretha's achievements in the late '60s were remarkable for any artist, but especially so for a black woman in the midst of the Civil Rights movement. She held the record for the most entries on the Hot 100 list of any female artist for nearly 40 years, only to be dethroned in 2017 by Nicki Minaj. She won 18 Grammys and was the first woman ever inducted into the Rock 'n' Roll Hall of Fame in 1987. Aretha delivered a powerful rendition of "My Country, 'Tis of Thee" -- while wearing that unforgettable hat -- at Barack Obama's 2009 inauguration.